Interview with Dr Laurence B. Brown – It's Time to Read! Dr Laurence B. Brown has released a book based around the Dead Sea Scrolls – a book that has been compared to Dan Brown’s The Da Vinci Code for its excellency and get story-telling. Stirring the flames of age-old controversies, The Eighth Scroll by Laurence B. Brown draws on the three Abrahamic faiths of Judaism, Christianity, and Islam to create an unbelievably dynamic and powerful story. Set in a world that teeters between orthodoxy and heresy, this thriller is packed with intrigue and adventure. When a Roman Catholic scholar involved in the Dead Sea Scrolls Project hides one of the scrolls because of the heretical message it contains, no one is the wiser until decades later, when a prominent archeologist discovers reference to the scroll in an archeological dig. This discovery spurs the world religions into a dangerous game of cat and mouse, in which all who seek the hidden scroll are mysteriously silenced, leaving the salvation of humankind to a father and son, who must either find the hidden scroll . . . or die trying. What gave you the idea to write The Eighth Scroll? I, like many people, wondered what was so interesting about the Dead Sea Scrolls. Who cares about a bunch of two thousand year-old scrolls that tell us what we already know? Who cares? I’ll tell you who cares: Every secret service and every revealed religion in the world. When I learned why they care, I simply had to write The Eighth Scroll to explain. You have a full time job so when do you find the time to write? I guess you must be disciplined and well organized. When everyone else in my family is watching TV, I’m writing. I prefer to make my own movies than to watch somebody else’s. “Uh, wait a minute,” you might say, “The Eighth Scroll is not a movie, it’s a book.” Well, yes, that’s true. But many readers remark that my writing is extremely visual — the book reads like a movie in the mind. That is my style, and that is what I think readers want these days. You have an interesting twist with Karl and Tim and without giving away what that is, how do you as a storyteller craft your twists? Sometimes I plan these twists, other times not. My work is as much character- driven as it is plot-driven. The characters are well defined in my mind, and they take on lives of their own that shape the story as it progresses. This probably sounds a little surreal, but many times the characters do things I wouldn’t have expected them to do. I might arrive at a point in the story where a facet of one of their personalities forces them to do something I simply had not foreseen. This is thrilling for me, as the author, and it demands a certain amount of discipline to allow the characters to act according to how I have defined them, even when this takes the story in an unanticipated direction. This leads to a lot of interesting twists and turns, some planned and others spontaneous. 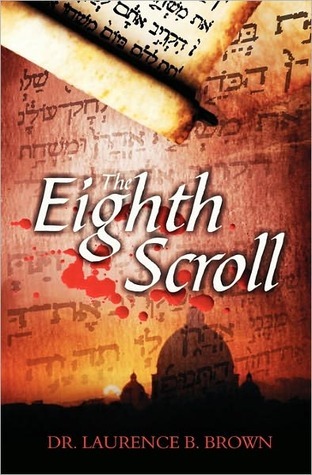 My review of The Eighth Scroll will follow soon.